It’s a word that perfectly and succinctly describes Fado’s Irish Pub and Restaurant. 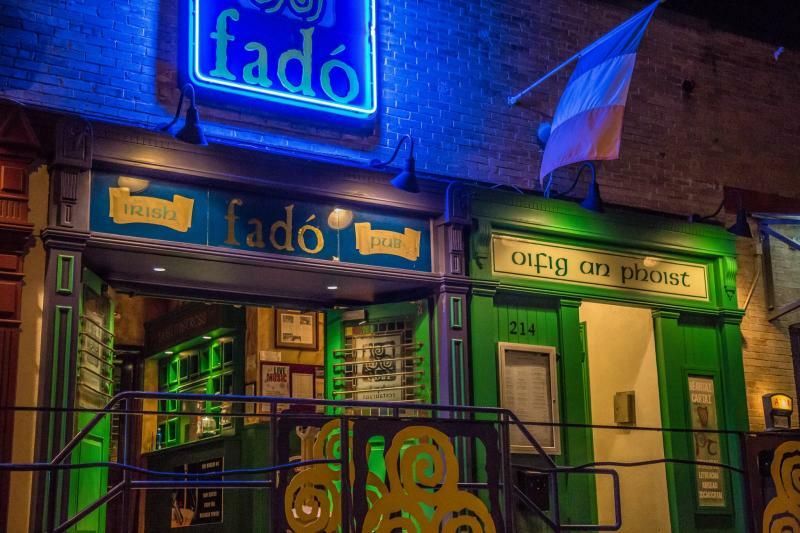 Everything at Fado’s is authentic - from the drinks, to the food, to the community, to General Manager John O'Brien's Irish accent. Even the pub itself is from Ireland - literally. “We had it shipped over to Austin in pieces from Ireland," O'Brien explains. "...and the interior is just like a pub right out of Dublin." 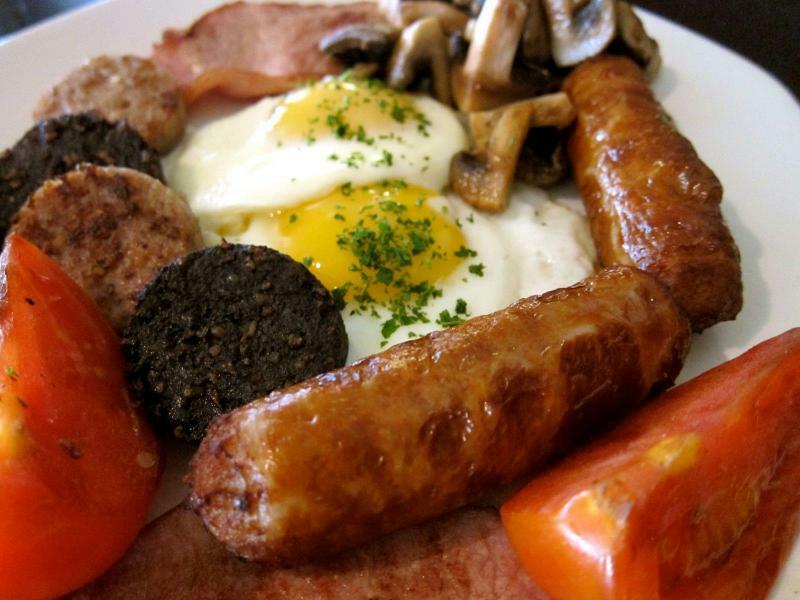 Fado’s offers a Traditional Irish Breakfast as part of its popular brunch. It features two eggs, Irish sausages, rashers, black and white pudding, mushrooms, tomatoes, and Guinness cheddar bread - sure to satisfy the strongest of appetites. Farmer’s Breakfast Skillet: potatoes, rashers, sausages, white pudding, and marinated tomatoes in a skillet, topped with cheddar and egg, served with Guinness cheddar bread on the side. Corned Beef Hash: our own corned beef with colcannon potatoes, topped with two sunny side up eggs and a creamy mustard sauce. Almond French Toast: French toast with almond flavored cream cheese, Melba sauce, maple syrup, and dusted with powdered sugar. To see the entire brunch menu, click here! 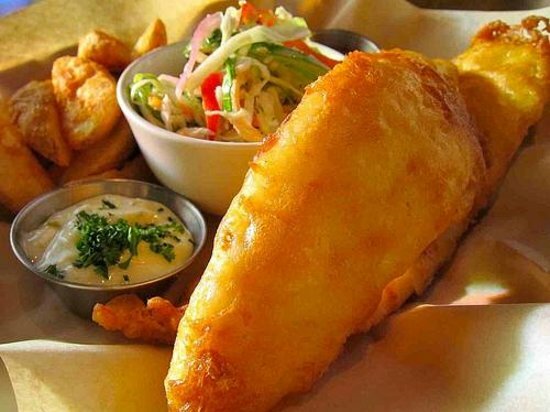 Fado’s serves the best Fish N’ Chips in Austin. Blue Cheese Lamb Sliders: braised lamb, caramelized onion, blue cheese, served with a lamb jus for dipping. Mini Burgers: with Guinness mayo, cheddar, pickles, onions, lettuce and tomato. Shepherd's Pie: ground beef and vegetables in a rich sauce topped with colcannon, served with a half portion Farmhouse Salad and Guinness cheddar bread. Honey Chipotle Shrimp Tacos: with arugula, feta and a honey chipotle sauce. To see the entire lunch and dinner menu, click here! Want to wash it all down with something cold? Fado’s has you covered. They offer all European draft beers including lagers, ales, IPAs, wheats, and ciders. Other drink options include Irish Whiskey, Scotch, Bourbon, Rye, and Japanese Whiskey as well as white and red wines. 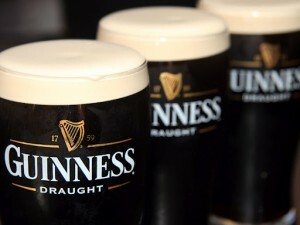 Of course, the most common drink is Guinness - an Irish delicacy or the Fado Irish Coffee, Tullamore D.E.W. 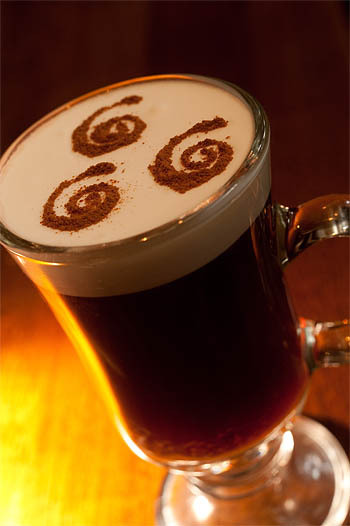 Irish Whiskey and brown sugar in hot coffee, topped with cream and cinnamon swirls - a must try! Fado's Irish Coffee - Mmmm! Be sure to check out their Happy Hour, from 4-7 p.m., Monday - Friday, where you can get the Beer of the Month for $4, featured cocktails for $6, and featured wine for $5. Also offered during Happy Hour are delicious, $6 loaded chips - with toppings such as: Harp Lager Cheese Sauce & Bacon, Tossed Fresh Rosemary & Parmesan, or Chicken Curry and $6 snacks. See the full Happy Hour menu here! In addition to their great menu selection, Fado’s is THE place to catch European football in Austin. “I get up at 5 a.m. to open up at 6 a.m. so that everyone can watch the broadcasts from Europe,” O'Brien explains. Fado’s has dedicated to the Austin community “for 19 years now,” O'Brien notes. “We have 13 locations around the country, but we really love Austin,” he continues. Fado’s has partnered with the Austin film festival, played host to many networking events, and continue to host a variety of private parties throughout the year. “We’re a great place to have a great time; we’re the real deal,” O'Brien adds. For beer connoisseurs, foodies, “football” fans, and anyone who just loves a great time, Fado’s is the place to be! Learn more about Fado’s on 512area.com by visiting their business page here.